The DUNE Interim Design Report is now available online. 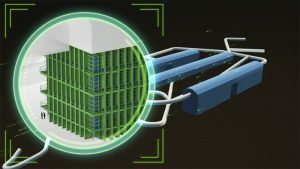 The more than 1,000 scientists and engineers from 32 countries working on the international Deep Underground Neutrino Experiment (DUNE), hosted by the Department of Energy’s Fermilab, achieved a milestone on July 29 when the collaboration released its 687-page Interim Design Report for the construction of gigantic particle detector modules a mile underground in South Dakota. The three-volume interim report, which was posted on the scientific online repository arXiv (Volume One, Volume Two, Volume Three), summarizes the DUNE physics goals and the design of the detector to meet these goals. It is based on the experience that DUNE scientists have gained during the design and construction of three-story-tall prototype detectors at CERN in Europe. The final detector modules, to be sited in the United States, will be about 20 times the size of the prototypes. The DUNE Technical Design Report for the first two detector modules will be finalized roughly a year from now and will be the blueprint for the construction of those modules. DUNE is an experiment to unlock the mysteries of neutrinos, the particles that could be the key to explaining why matter and the universe exist. The experiment will send a neutrino beam generated by Fermilab’s particle accelerator complex in Illinois 800 miles straight through Earth to the DUNE far detector modules to be built at the Sanford Underground Research Facility in South Dakota. DUNE scientists also will use the large detector modules to search for rare subatomic processes such as proton decay and watch for neutrinos stemming from the explosion of stars in our galaxy. The giant DUNE detector will record images of particle tracks created by neutrinos colliding with argon atoms. Groundbreaking for the construction of the caverns that will host the DUNE modules took place in July 2017, and the experiment is expected to be operational with two far detector modules online by 2026. Ultimately, DUNE will comprise four far detector modules filled with a total of 70,000 tons of liquid argon, as well as a smaller near detector at Fermilab. The Interim Design Report specifies the two technologies that DUNE scientists will use for the far detector: single- and dual-phase time projection chambers filled with cold, crystal clear liquid argon, the same technologies used to build the two prototype detectors at CERN, known as the ProtoDUNE detectors. Both types of far detector modules will record images of particle tracks created by neutrinos colliding with argon atoms. In the single-phase technology, the entire volume of the detector is filled with liquid argon, and a horizontal high-voltage electric field “projects” the particle tracks towards the walls of the detector. Arrays of thin wires placed in front of the detector walls capture the signals created by the particle tracks and send them to a data acquisition system. 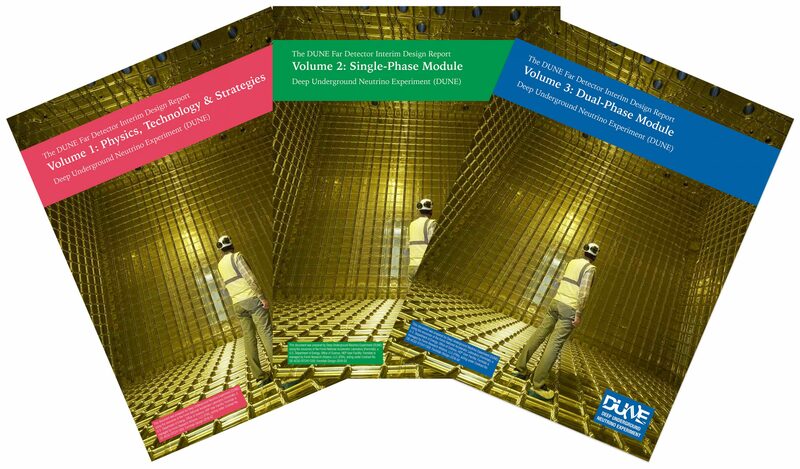 The three volumes of the DUNE Far Detector Interim Design Report are available online: Volume One, Volume Two, Volume Three. The DUNE collaboration comprises 175 institutions from 32 countries: Armenia, Brazil, Bulgaria, Canada, Chile, China, Colombia, Czech Republic, Finland, France, Greece, India, Iran, Italy, Japan, Madagascar, Mexico, Netherlands, Paraguay, Peru, Poland, Portugal, Romania, Russia, South Korea, Spain, Sweden, Switzerland, Turkey, Ukraine, United Kingdom, and United States. 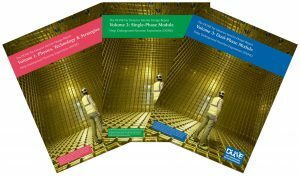 More information is at dunescience.org.